Holiday Rentals & Bed & Breakfast Oloron-Sainte-Marie, Chambres d'hôtes -gîtes La Forestière-Oloron. 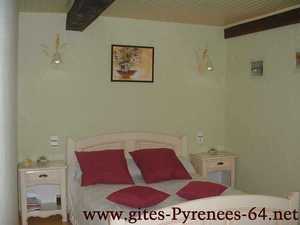 Offer a stay in Bed and breakfasts or cottage in the Pyrenees, between Pau in the south of Aspe and Ossau. Raymonde Jean Claude you a warm welcome in charming cottages. Directions to Chambres d'hôtes -gîtes La Forestière-Oloron. From Pau, follow signs via ZARAGOZA Oloron Sainte Marie. Arrived at the village ASASP, turn left towards ARUDY on D 918, drive 5 km on the clock, we are left, signposted in our accommodation.